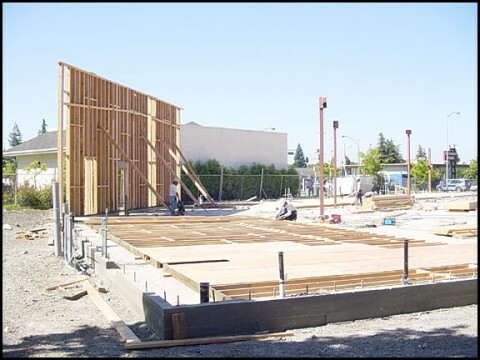 LeDuc & Dexter’s commercial department has completed under slab plumbing for a beauty salon at a retail tenant improvement project at the Mendocino Market Place at Mendocino Ave. and Steele Lane in Santa Rosa. 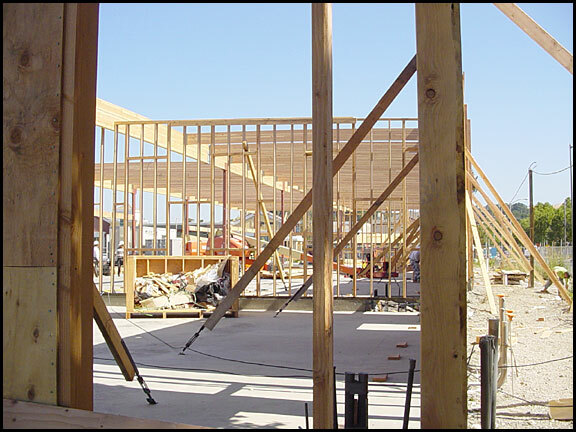 Midstate Construction is the general contractor on the project that includes two large buildings adjacent to the new Safeway supermarket. The two buildings will be divided into separate retail spaces including Cold Stone Creamery and Starbucks. LeDuc & Dexter has previously contracted with Cold Stone Creamery at two other locations that have been built in Sonoma County. LeDuc & Dexter has also worked with Midstate Construction on a tenant improvement project at Bed Bath & Beyond and PETCO on Santa Rosa Ave.
With the shell construction underway the slabs have been poured and framing is underway. When Cold Stone Creamery is ready to build their space LeDuc & Dexter will cut the cement slab to layout the plumbing lines to fit the plans, which haven’t been submitted yet. The beauty salon had plumbing plans ready before the slab was poured so in wasn’t necessary to cut the slab to complete their plumbing.